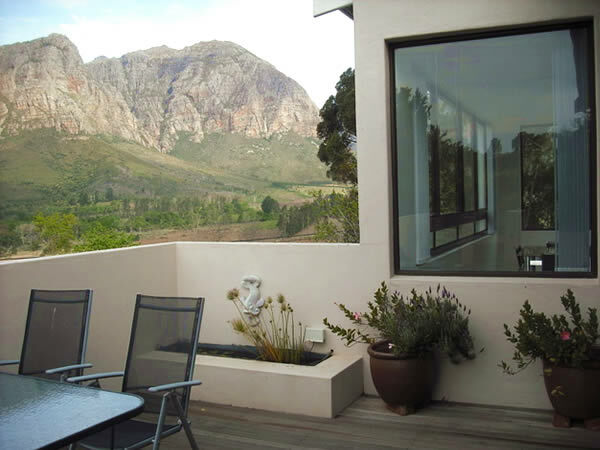 Self catering cottages and guest suites with spectacular mountain views on a small protea farm in the picturesque Banhoek Valley in Stellenbosch. 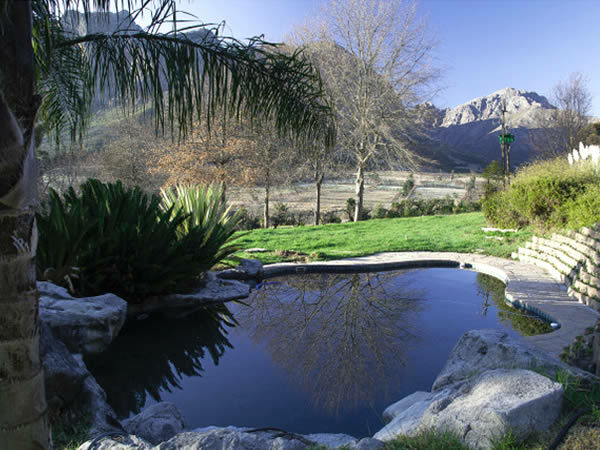 Moores End offers self catering cottages and guest suites in the beautiful Banhoek Valley on the Helshoogte Pass in Stellenbosch. 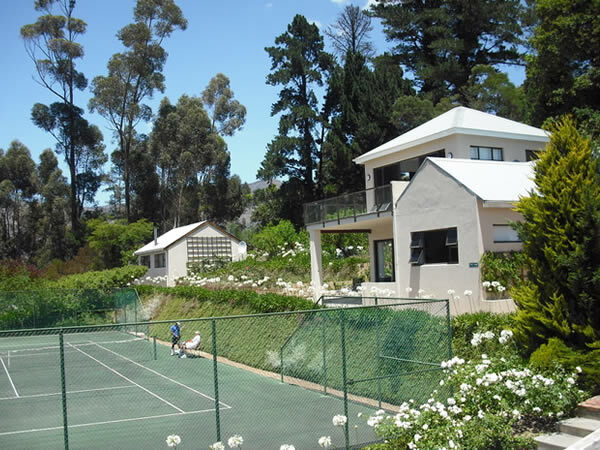 Our accommodation offers magnificient panoramic mountain views, an exquisite salt water pool and tennis court. 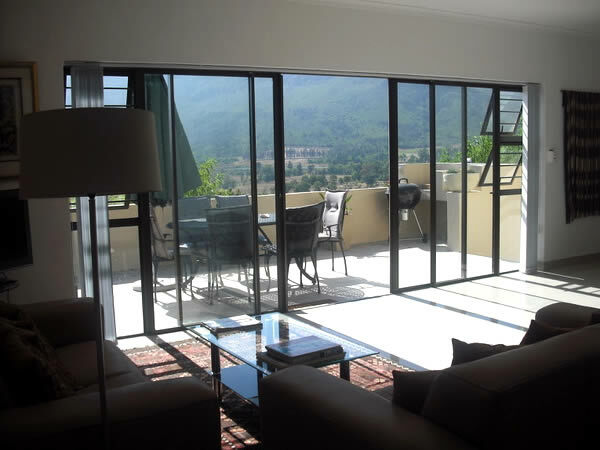 Our seven, beautifully appointed, self catering cottages are fully furnished with either one or two bedrooms, ensuite bathrooms, kitchen, private patios with braai (barbeque) and exquisite mountain views. Our spacious suites are in a separate wing of the main house with access to a kitchenette, pool table and garden - with a view of course! 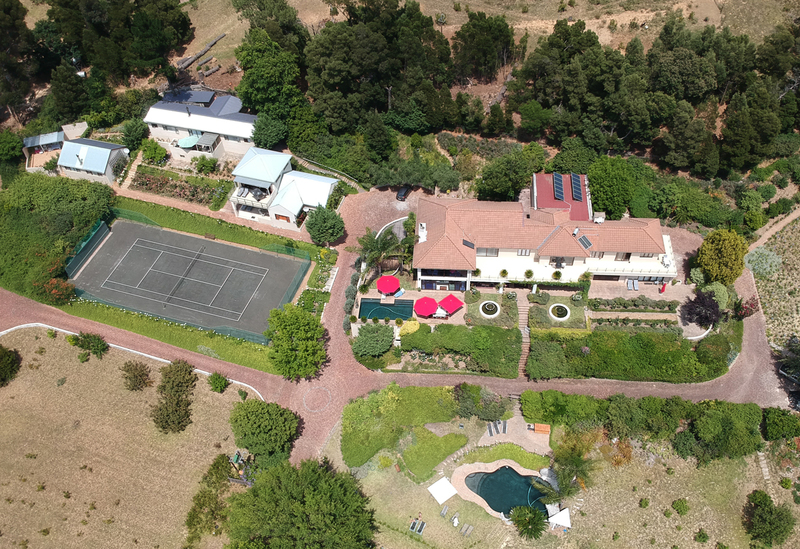 Nestled under the Simonsberg Mountain and overlooking the Groot Drakenstein Mountain, Moores End is an ideal location for exploring the wine routes of Stellenbosch, Franschoek and Paarl. You will be spoilt for choice of vineyards to visit for wine tasting or excellent restaurants offering gastronomic feasts or a tea at a berry farm nearby. You can relax with a book at the pool, admire the mountains or bird watch. 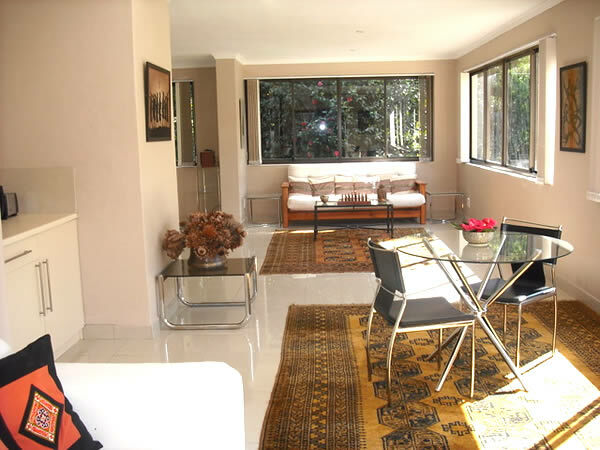 For the more energetic there is a tennis court or a walk among the proteas and fynbos. Our rates are seasonal, between R350-500 pp per night.